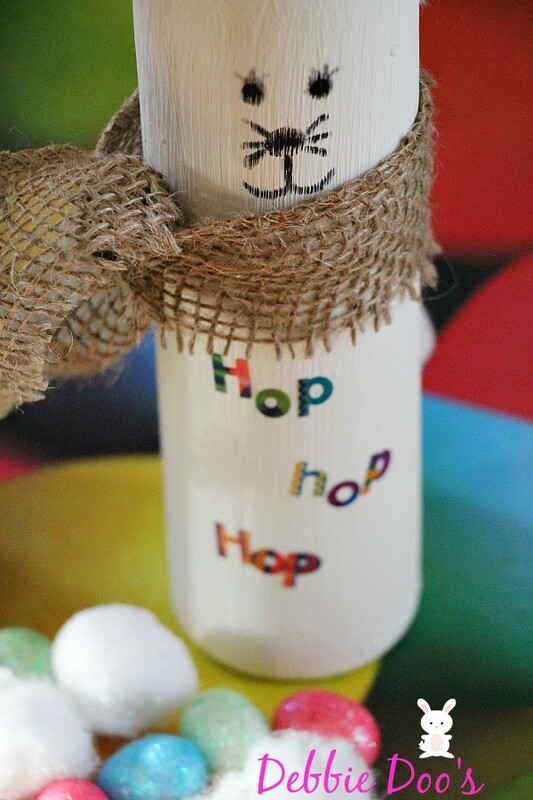 Hip-pity Hop-pity, Easter’s on it’s way! 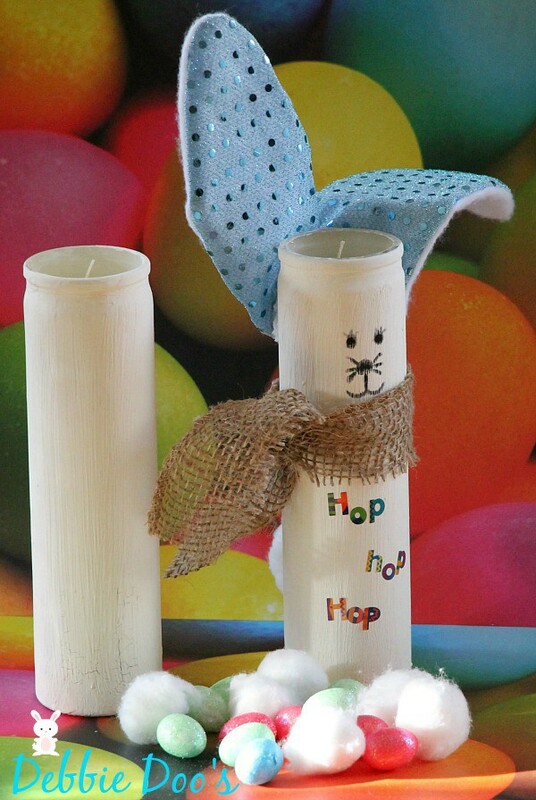 Today, I am sharing a dollar tree diy bunny candles. These are somewhat along the lines of my Dollar tree snowman salt and pepper shakers. I wanted cute, simple and budget friendly. Mission accomplished. 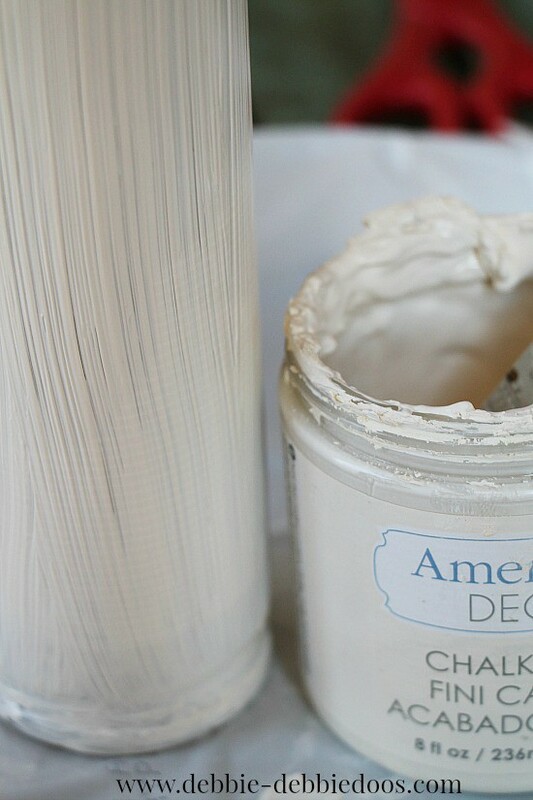 craft paint of choice ( I used chalky paint) which is now sold at Michael’s, Hobby lobby, and Home depot. First, give your candle two coats of paint and let completely dry for about an hour. 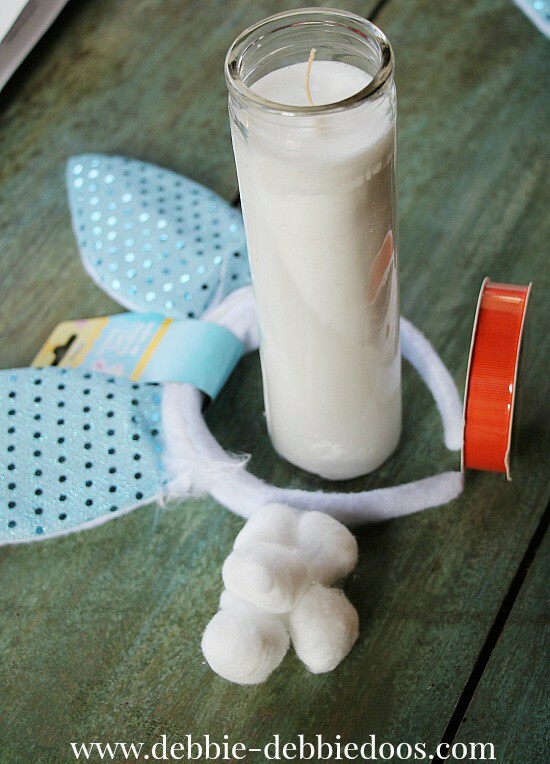 Then dismantel the bunny ears off the head band. I just cut mine right off. You can leave the plastic inserts in if you would like, or take one out and make an ear floppy as shown. If you plan on using the candle, I would flop the ears down to avoid anything hazardous such as, let’s say a FIRE! geesh, that would be bad all because of a craft project. I am sure it has happened to someone, somewhere something hazardous when crafting. Sharpie on the bunny eye, nose and mouth. 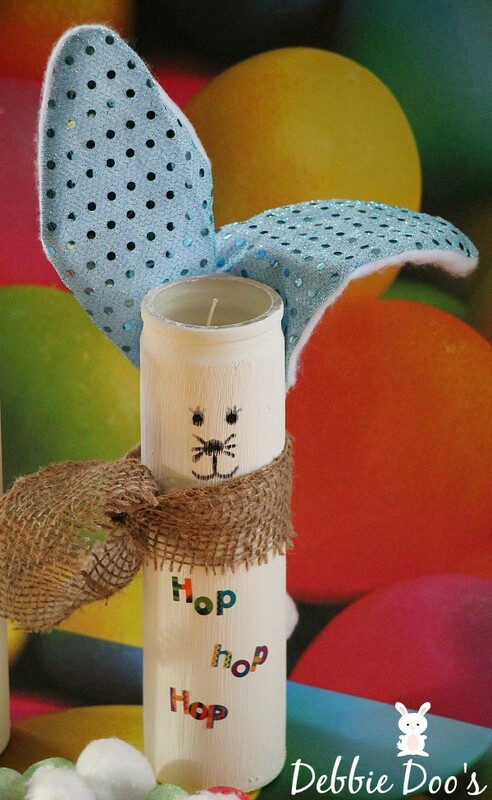 Then tie your burlap or ribbon around just for something extra cute if you want. You can use the stickers to spell out anything you like. In my case, HOP, HOP, HOP came to mind. That’s how simple it gets! 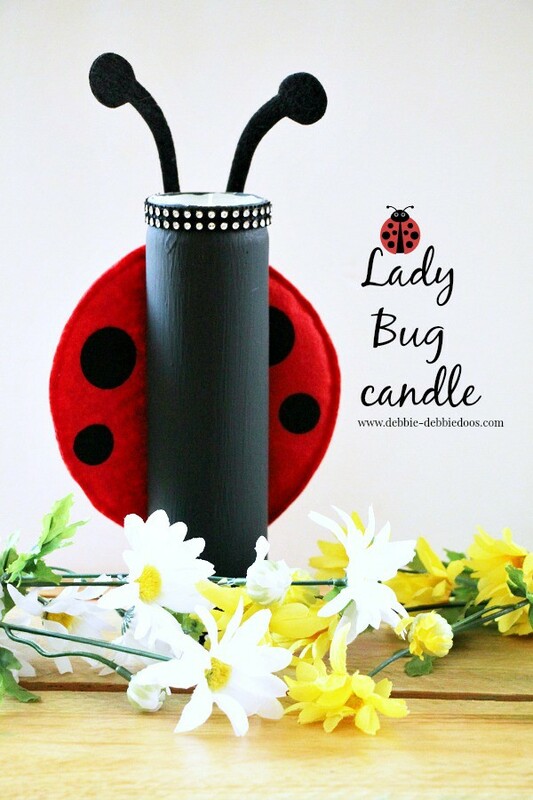 Remember my ladybug candle? I used a head band for that as well. thanks for stopping over today. 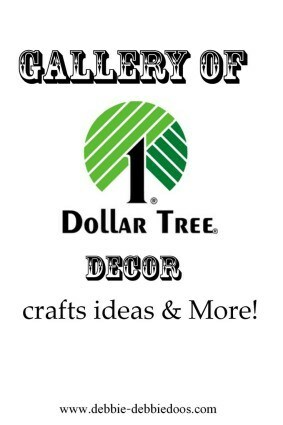 You can check out my Dollar tree archives while you are here for well over 100 more ideas! 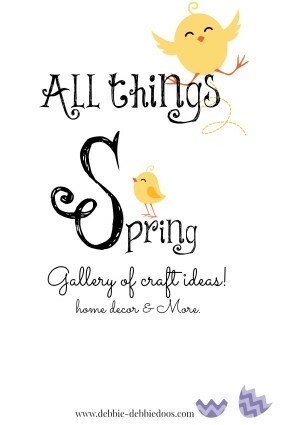 check out my All things Spring ideas too! Dollar Tree should have you on the pay roll, Deb! Seriously. These are so cute! OMG what a cute craft it’s just adorable Debbie. How fun is this. Love the ladybug too. Too cute my friend…you need your own TV show!! Oh my goodness..how adorable!! You are too clever, lady! Debbie, I love this idea. So, so cute! Happy Easter!